When we first set sail in the rust-streaked ship of Brave Pill in the heady, far-off days of February 2019, I predicted that you'd be asked to swallow more examples of elderly Mercs than cars from any other manufacturer. 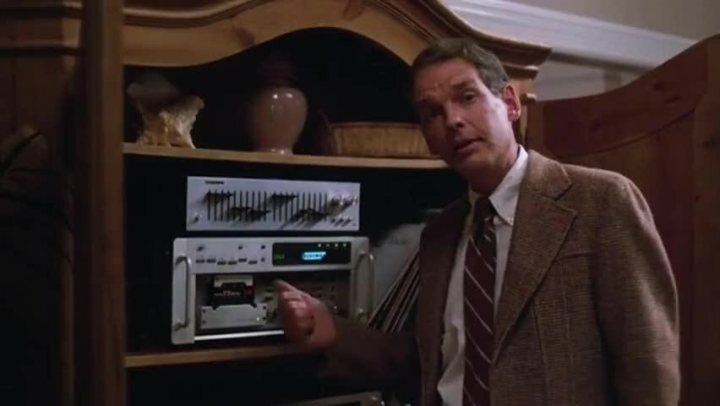 Yet I was wrong, after just six outings we've already got our first brand repeat, and it doesn't wear a three-pointed star. Yet apart from the common factors of a V8 up front and the same suffix on the end of its badge, this 928 S is about as far as it's possible to be from the Cayenne S we featured in week three. This example of the brand's ultra-stylish GT coupe is three times older and has led an interesting life as well as a long one. But it's also compellingly priced given the increasingly febrile state of this part of the market and could well turn out to be a canny buy for somebody with both a stout heart and a dice-throwing attitude to risk. Brave Pills definitely isn't Cash in the Attic. Cars aren't financial products and "I want to drive that" should always outrank "that will be worth more in five years' time." But it would be remiss for me not to point out that 928 values have been accelerating strongly in recent years and that - at £8500 - this one represents pretty much the bottom of the market, despite evidence of copious recent spend. The days when you could pick a minter up for five grand with enough change for a weekend in Skegness are long over. In terms of critical appreciation, the 928 has pretty much lived a bathtub curve - huge regard followed by years of near indifference and now growing affection. When new it managed to win the European Car of the Year gong in 1978, making it the only sportscar to have done so. Styling seemed to be from another decade, possibly another planet, and it remains one of the most influential cars of all time. Peter Horbury, now Geely's head of design, once told me he copied the 928's side window profile as closely as he could when working on the Ford Sierra XR4i. Although there were several visual updates throughout the 928's 18 year lifespan, this S is still early enough to look pretty much exactly as the original idea left the pen of designer Wolfgang Mobius. Plus which, who doesn't love pop-up headlights? Performance will also still be acceptably brisk by 2019 standards. The 928 was considerably pudgier than its air cooled sister, but was much easier to drive. The 928 got a rear-mounted transaxle to help optimize weight distribution (especially compared to the thrown hammer that was the contemporary 911 3.0 Carrera) and Porsche claimed the bigger car was as fast around a circuit as the 911. Although launched with a 240hp 4.5-litre V8, the S was upgraded to a brawnier 4.7-litre unit making 296hp. 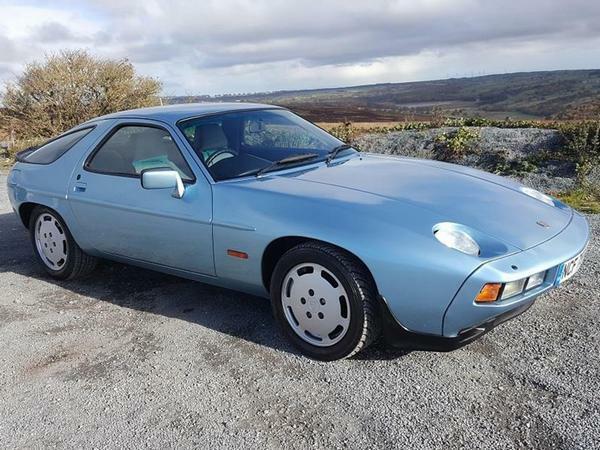 Like the majority of its sister, this 928 was ordered with the automatic gearbox and - at this age - it will be a three-speeder rather than the later four-speed. Most buyers would doubtless prefer the much rarer five-speed manual box, but good luck finding one of those for under £20K. The V8's combination of a bristly mid-range and a genuine enthusiasm for revs means that the slusher doesn't have to be considered the deal breaker that it would be in many of the era's less well-endowed sportscars. 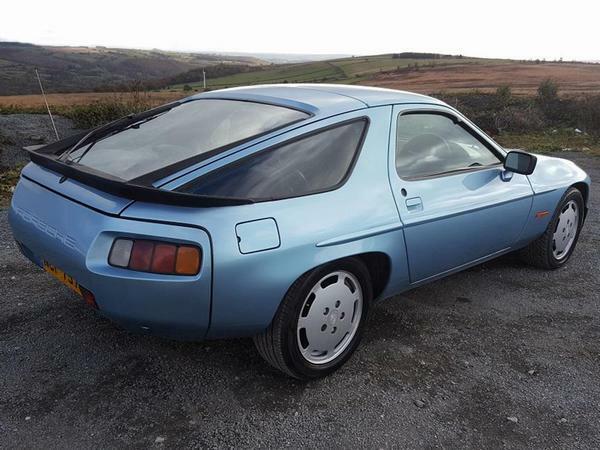 The biggest problem for the 928 tended to be the speed at which sliding residual values put it into the reach of owners who could stretch to the purchase price but not the considerable cost of keeping such a complicated beast in fettle. When growing up I remember a local pub landlord owned one which perfectly matched the faded grandeur of his roughish boozer. Over a couple of years it moved less and less until it eventually grew moss and was hauled off by a scrapyard wrecker sometime in the late 1990s, a fate that probably befell too many of its siblings. But the good news is that despite being priced very close to the bottom of the market this week's Pill has had a serious amount spent on it recently. 928s have galvanized shells and so rust is less of an issue than tends to be the case with '70s and '80s stuff. The MOT history of this car does report a corroded offside sill serious enough to see it failed back in 2016. But it then spent 18 months off the road and - to judge from both the most recent ticket and the owner's list of done jobs - has been given a mini-restoration since then including a full respray. One important mention in the advert is that of a new timing belt. The 928's is a monster, more than two metres long, and which needs to be replaced at 60,000 mile or four year intervals. Other ticked boxes include a new steering rack, brake pads front and rear and fresh window seals. It doesn't look immaculate, but it does look like an honest example of a fine car. There's another strong argument for cheaper examples of cars whose values have started to rise - you're much more likely to use them properly than wrap them in cotton wool. The 928 was designed for continent crossing and it still deserves to have its legs stretched from time to time. If it ends up increasing in value then great, that will offset inevitably highish running costs. But even if it doesn't you are still going to have had fun in it, aren't you? I was watching that one on eBay cos it's just around the corner from me! (The chap has a few Porsches for sale). I think it looks ace! Always loved the shape of these, and this looks great (especially as I may well have to consider autos in future ). For me the brave pill has already been taken, by the original buyer who ticked the "I don't need leather, I'll have cloth, thanks" box on the order form. Like a small whale surfing.
" Every now and then say, 'What the f k.' 'What the f k' gives you freedom. Freedom brings opportunity. Opportunity makes your future. " Look at it, and wonder that its design is more than 40 years old. What an incredible machine. Car becomes art. timeless design, no gopping holes in the front, swooshes and lines all over the place, no aggressive styled headlamps, bs air ducts etc, simply a lovely, clean and very recognizable design. This column now is even better than sotw, really. And interesting cars all over anytime, well done, ph! BTW, the car is really nice, even in this colour, but here you go with your real bork fund car. These things don't even drive that good, way too loud and harsh on the motorway and not nimble enough for blasting around. And then there is the bad mileage, no space and only the three speed auto. Nice, thanks but no thanks for me. I like the 928, it is the only Porsche I have ever wanted to own. Slightly misinformed, as spare parts are still available from Porsche classic department plus various international seller. As a person who has restored one and driven many miles in its various iterations, it is a better drive than a similar year 911 and is perfectly capable of vast distances at high speed. It can be a little noisy but handles surprisingly well, particularly the latter models. 928's still give me a twinge all these years later, iconic car of the eighties, I know they arrived in the seventies but not by that much and it took a while for them to filter through, they clung on well into the nineties but to me at least, its very much an eighties icon. The decade of excess and shoulder pads, but doesnt it look quite dainty and subtle now ? Not sure I could be bothered with another old Porsche after the joy I had with my 944 S2 though, imagine these are even more needy if you get a ropey one. Always rather liked these since first seeing them as a kid in the '70s. Whoever got to buy this last year was very lucky. The design is older than most people realise. Porsche started on it in around 1968. 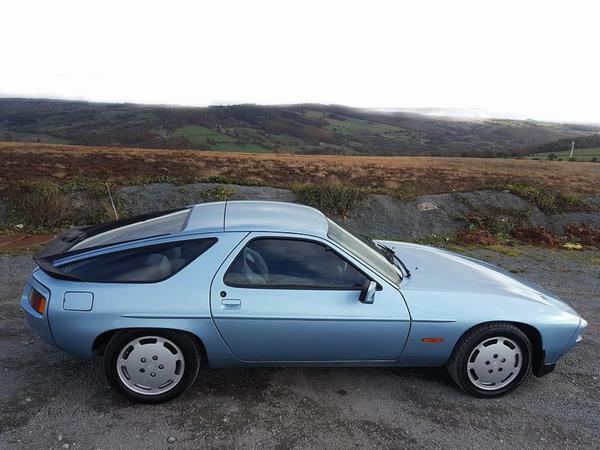 The 928 was meant to go on sale in 1972 or '73 but was put on hold due to the Oil Crisis. 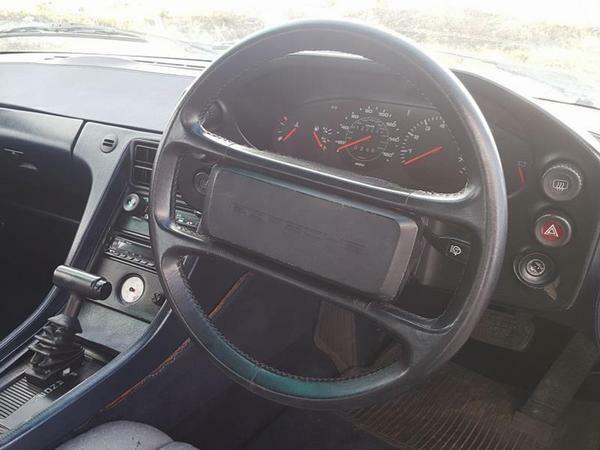 My only minor quibble with them is, having driven a friend's 928S4, is that you can't see a single damn part of the outside of the car from the driver's seat, which must make maneuvering ... interesting.